This is just an example of what inspired us, we did not create this spin art machine. In our class PLTW (Project Lead The Way) we build and create many different projects that consist of very different things. For example, we have done modules on different medicines, different types of robotics, and just using different types of tools. Something that all of those modules had in common is that they all teach you a skill that you can use in the future, whether it’s how not to procrastinate or how to plan out ideas and organize your time. But in the end, we bring all of those skills together into one project called our “Maker Project”. The “Maker Project” that I’m working on is called “The Big Spin Art Machine” which is exactly what it sounds like. 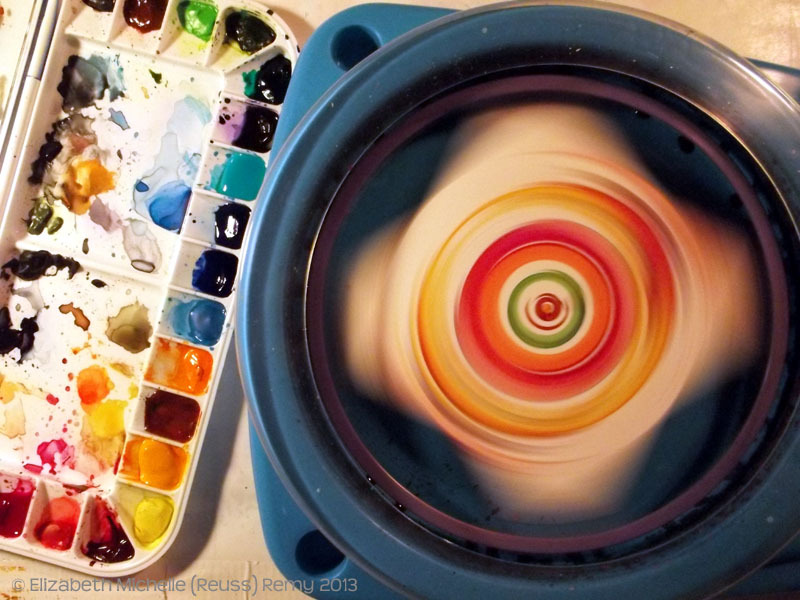 You know those Spin Art Machines you see at Walmart? Well, we are building one of those but in bigger scale. Now you might be asking who “we” is, and the answer to that would be that “we” is the team that I’m working with. There is a total of 3 of us and we all work very efficiently together. I’m not saying that because it’s the team I’m with, I’m saying it because it’s the truth. We have many steps planned out ahead of time so that we won’t get behind schedule. Just like in the real word, we have a deadline or due date. There’s this fair called The Austin Maker Faire, which is a fair that displays many different projects across Austin. This is the first year that our school has ever participated in this faire, which means it is a big deal. This means that we have to stay on task and get everything done to our best ability. To achieve this goal, we have set up dates to where we must check what we have done, with what we should have done. If by any chance we are a little behind, we have to step up our game and work faster. Just because we are working faster doesn’t give us an excuse to slack off in our work. Although we don’t slack off on our work, we do get off task sometimes. But something that has helped us stay on task would be our teacher. She consistently reminds the whole class of deadlines and due dates, which for me is a great motivation to keep working. Overall, this whole project has been going great because of the amount of effort, commitment, and motivation we put into this machine. We have a great start on this Spin Art Machine and I know that we will be able to end it the exact same way.